With the new Bank of England and Financial Services Act now in law the building society sector has gained a significantly stronger competition requirement. Clause 20 in the act requires the regulators to consider financial diversity, specifically mutuality, when carrying out its duties. There are benefits for consumers as well as building societies however. A properly functioning, healthy and genuinely consumer focused financial sector requires a broad range of different types and sizes of financial institutions operating in it to drive competition and financial resilience. If a single organisational structure was able to deliver everything that society requires from a retail financial services provider, there would be no case for corporate diversity. Instead research has shown that allowing a diverse range of firms, by model and size, to provide financial services brings significant benefits, such as increased competition for consumers and greater resilience in the financial system. During Parliamentary debates our supporters called for an environment to be created where all types of firms are able to operate on a fair basis, with regulations that are appropriate and proportionate to them, rather than one size fits all. 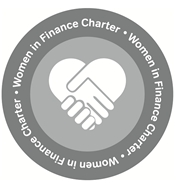 By enshrining this commitment in legislation now means that regulators must give the diversity of financial provider due consideration, looking at different business models and sizes of provider side by side. This will lead to a more appropriate and proportionate regulatory regime which in turn will lead to a more competitive financial environment in the future. This clause means that going forward where problems look likely to occur the sector has legislation to fall back on as a defence and the regulators will have to prove that they have taken diversity into account. While cases that can rely on this may be few and far between in the long term this will strengthen the sector.